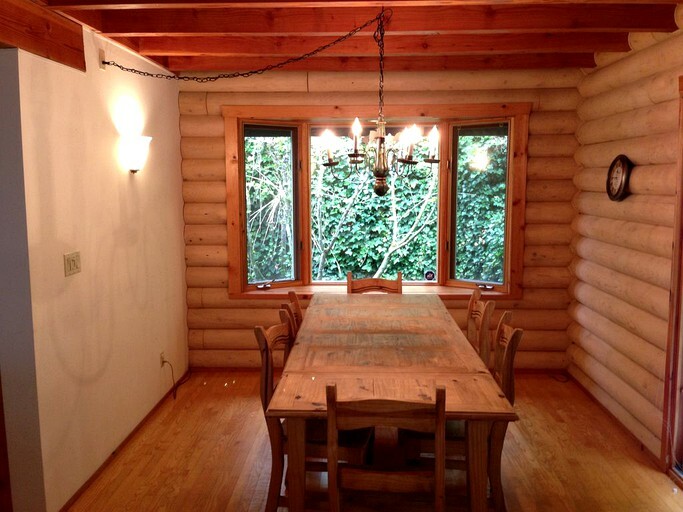 This gorgeous log cabin rental is located in Lions Bay near the infamous Whistler Ski Resort in British Columbia, Canada, and can accommodate up to 12 guests. 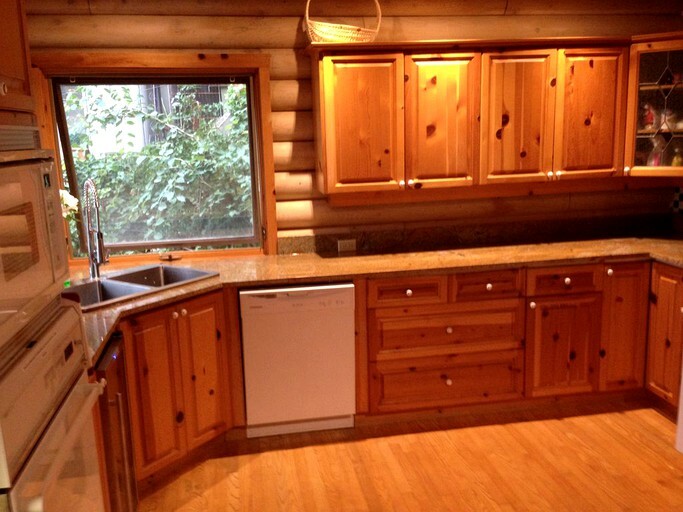 The cabin comes with six bedrooms, four full bathrooms, and one half bathroom. A master bedroom comes with all the amenities including a king-size bed, an HD plasma TV, and a new master bathroom with a double vanity. Three of the bedrooms come with a queen-size bed, one of which has a full bath. Another room has two twin beds, while the last room has a sleeper sofa. 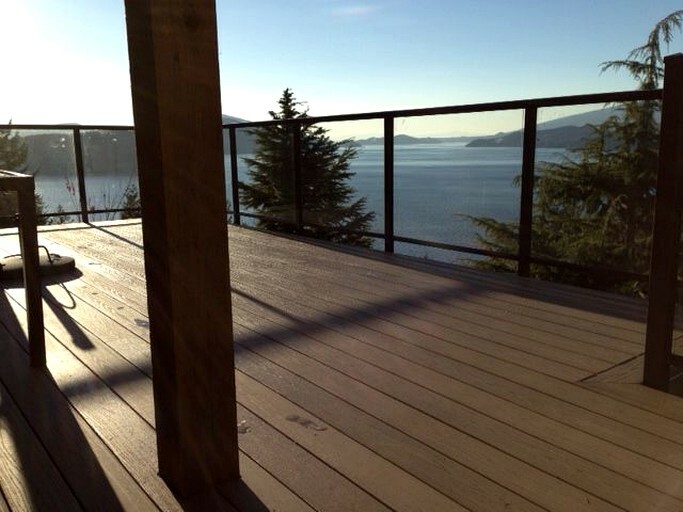 Most bedrooms have direct views of Howe Sound, including views of the surrounding islands. 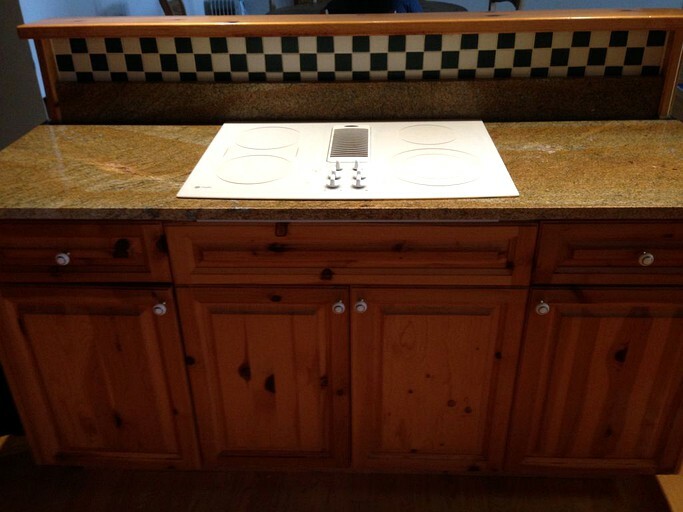 In the fully equipped kitchen, guests will find brand new granite countertops, a new kitchen island, a new wall oven, and a microwave. 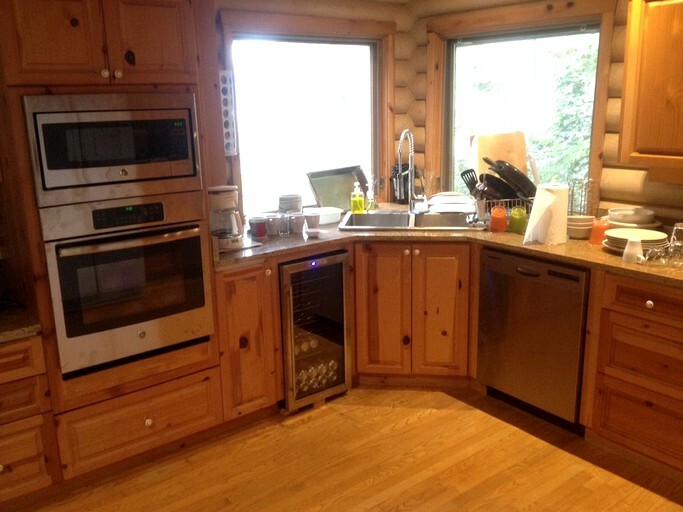 Guests also have a fridge and a stove so they can cook all their meals in the comfort of their own home. 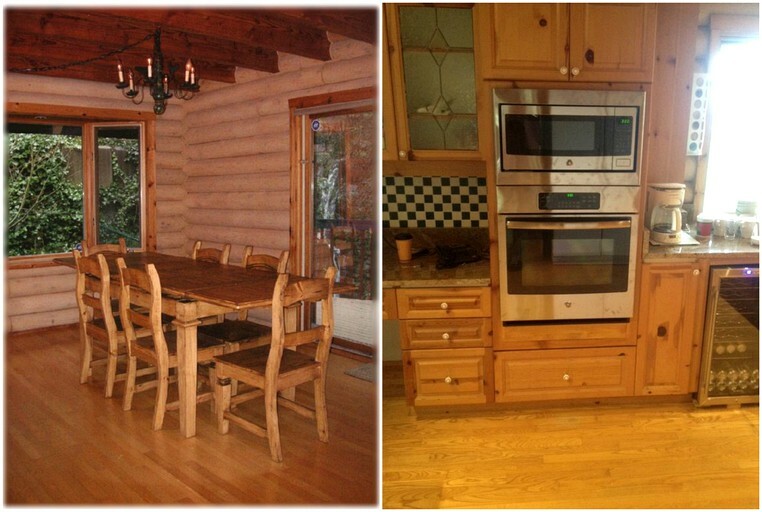 With two dining areas, there is enough room for seating up to 15 guests during meal time. 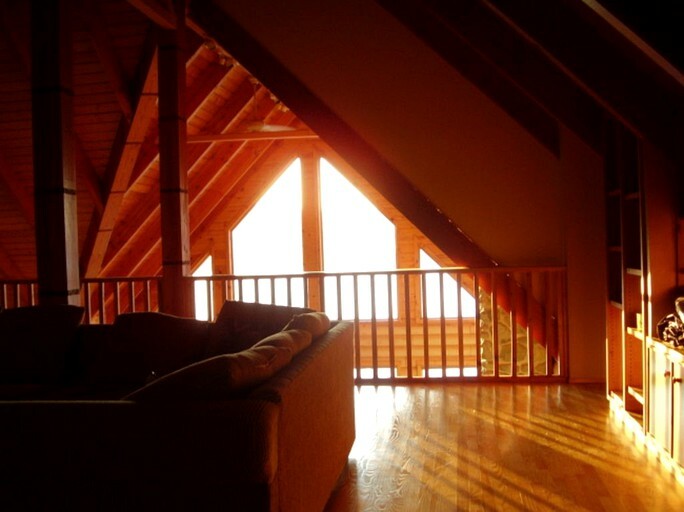 Over in the large, comfy loft—complete with a new LED TV and plenty of board games—this is a great area for the kids to have some fun after a long day of activities. 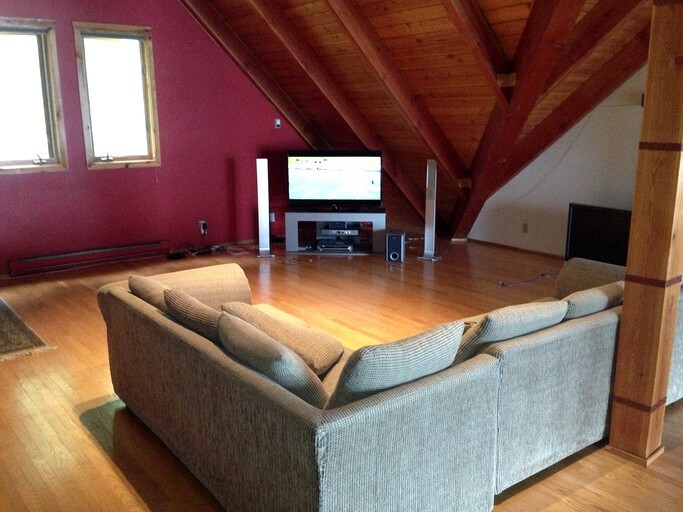 There is also a living room with more couch seating and an amazing view of Howe Sounds. 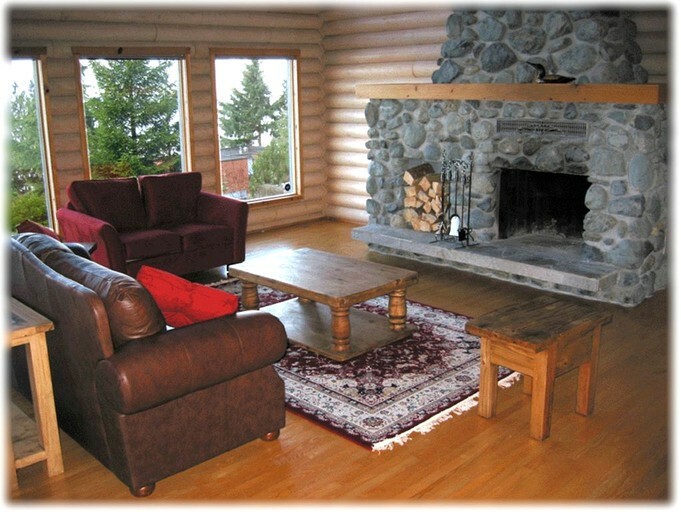 The grand fireplace in this living room provides the perfect spot to warm up after a day of skiing at Whistler. Guests are provided portable air conditioning units on each floor to stay cool during the warm summer months. There is also Wi-Fi for guests to stay connected throughout their stay. 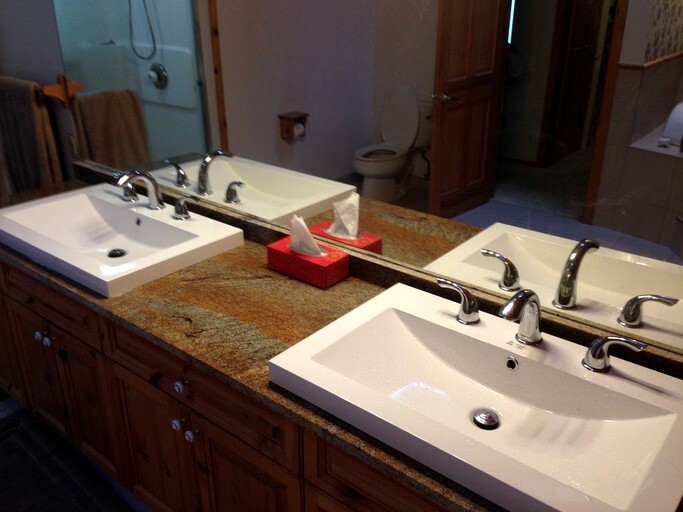 Fresh linens and towels are provided for all bedrooms and bathrooms, and there are a washer and dryer at the accommodation. 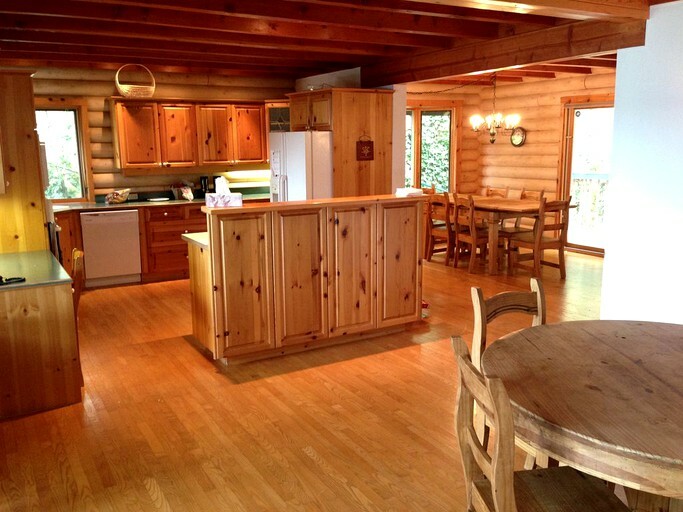 The property has parking both on-site and off-street for guests with vehicles. 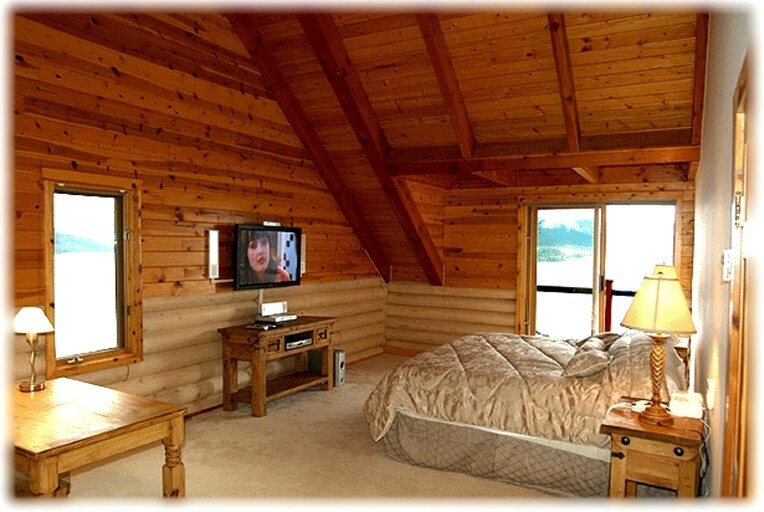 This large cabin rental is situated on the water in Lions Bay, British Columbia, Canada. 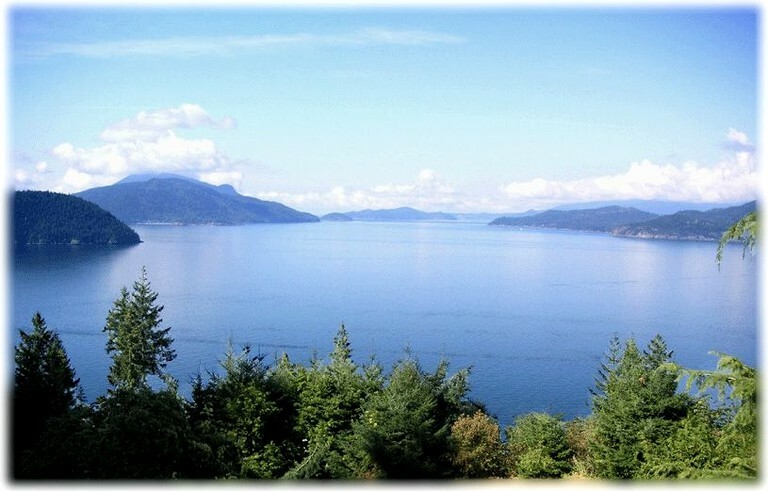 The town sits along the water with breathtaking views of Howe Sound. 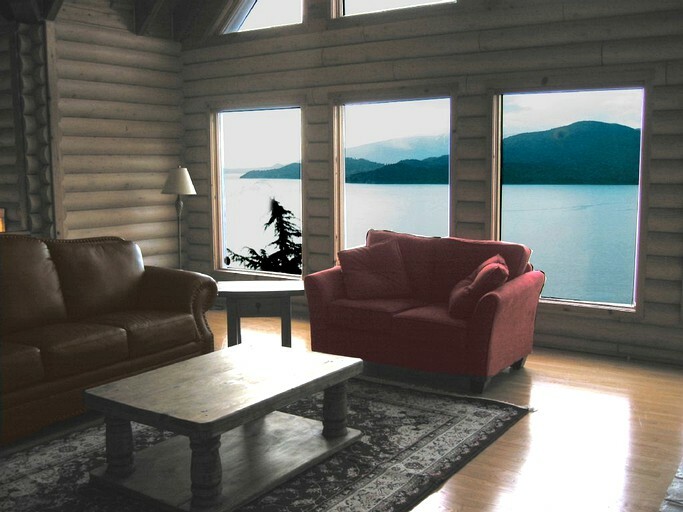 Guests are just twenty minutes north of downtown Vancouver and less than an hour from the world famous Whistler Ski Resort. 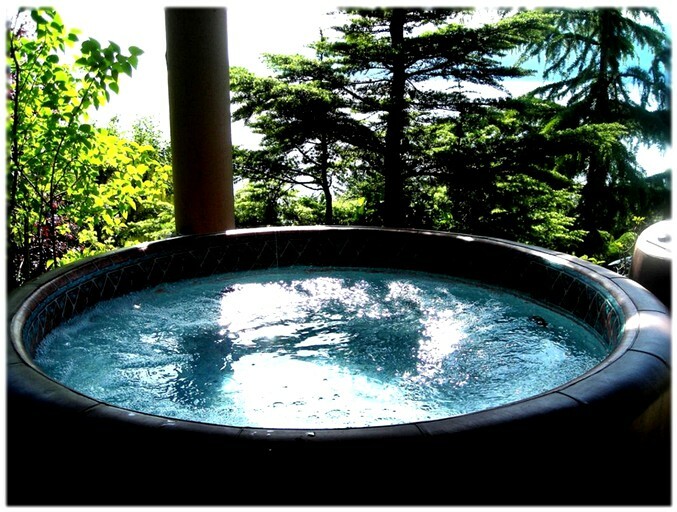 Guests can find nature activities and city nightlife all around. 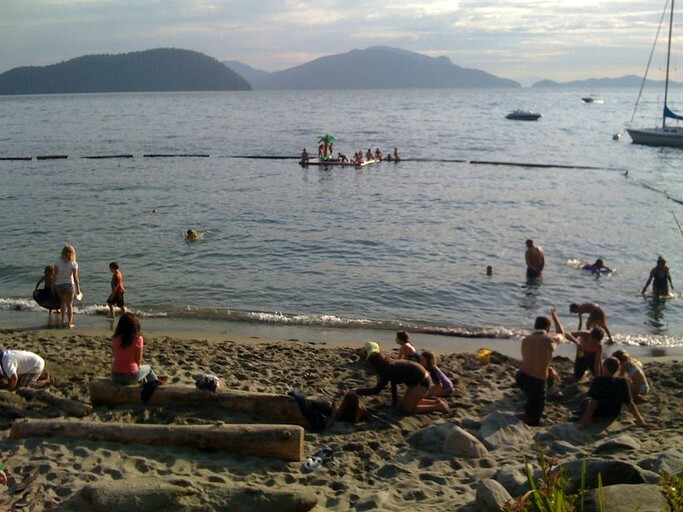 There are numerous beaches, and Lions Bay Beach Park is just minutes away, offering guests a great place to relax with the whole family. Guests do not have to travel far to find plenty of fun in the sun. The neighborhood beach is the perfect place for the kids to gather and hang out with other children staying nearby; meanwhile, parents can go enjoy the community's own private beach club. 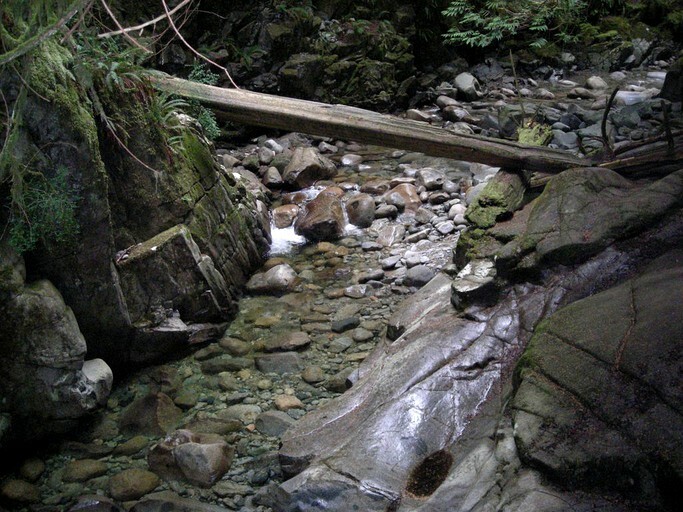 If looking for more activity, there are numerous walking trails in the neighborhood—including some with natural waterfalls. 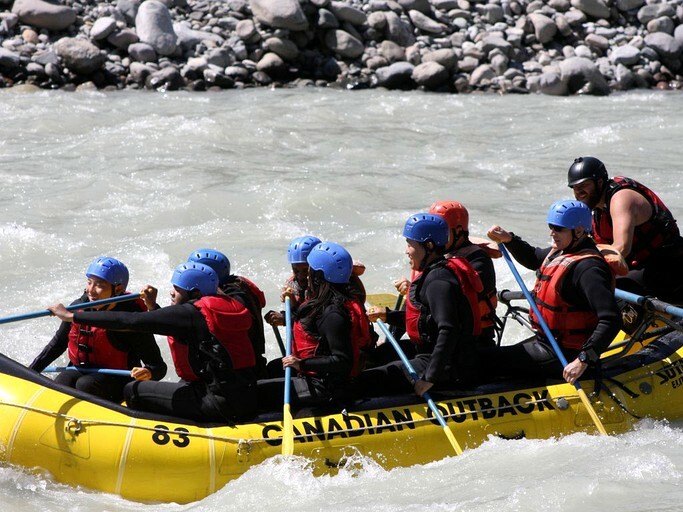 For adventurous guests, whitewater rafting is only a 30-minute car ride away. 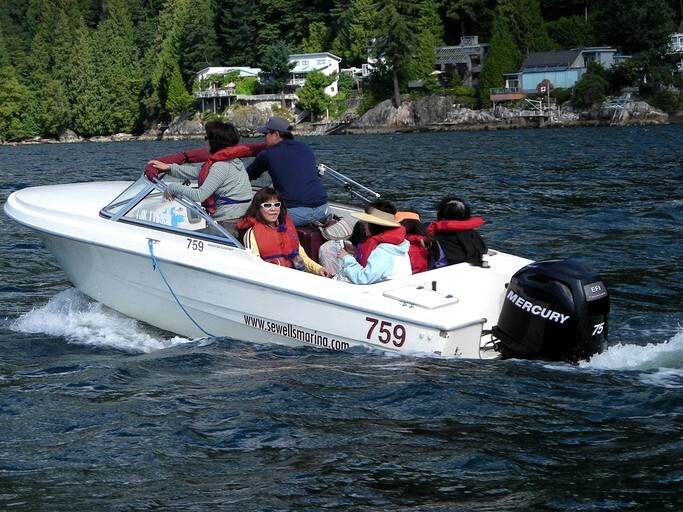 Guests can also head down to Sewell's Marina to go on a sea safari. Horseshoe Bay is just 10 minutes away and offers the perfect spot for guests to take out a motorboat rental and do some water tubing or wakeboarding. Lighthouse Park has groomed hiking trails and a lighthouse with gorgeous city views. 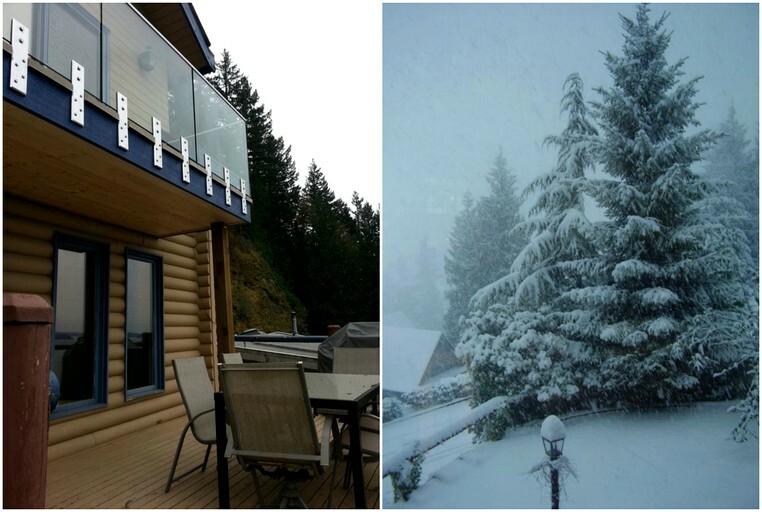 This site is also popular during the winter months because of the world famous Whistler Ski Resort that is located just minutes away. There is a refundable damage deposit of $1,000. Guests are not permitted to have wild parties at this property.